California’s lead­er­ship on cli­mate and clean ener­gy has gen­er­at­ed bil­lions of dol­lars of in-state invest­ment, spurring job cre­ation and strong growth in new indus­tries, and paving the way for oth­er juris­dic­tions around the world to fol­low suit. Set­ting aggres­sive, enforce­able new tar­gets will dri­ve addi­tion­al invest­ment and job-growth to ensure that progress con­tin­ues and is enjoyed by all Cal­i­for­ni­ans. 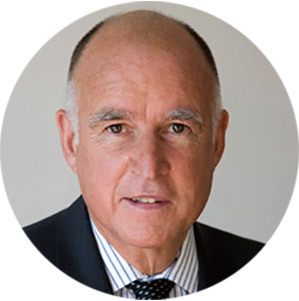 In his State of the State address in Jan­u­ary, Gov­er­nor Brown announced ambi­tious new ener­gy and cli­mate goals for Cal­i­for­nia. The gov­er­nor called for statewide tar­gets of up to a 50% reduc­tion in petro­le­um use in our cars and trucks, 50% elec­tric­i­ty gen­er­a­tion from renew­able sources, and to dou­ble the ener­gy effi­cien­cy of build­ings, all by 2030. 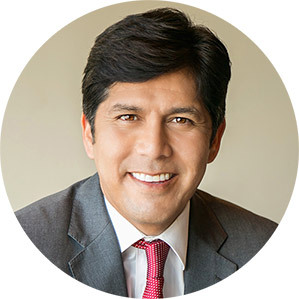 In Feb­ru­ary, Sen­ate Pres­i­dent pro Tem­pore Kevin de León intro­duced Sen­ate Bill 350, the Clean Ener­gy and Pol­lu­tion Reduc­tion Act of 2015, to cod­i­fy and imple­ment the Governor’s goals. The bill was approved in the Sen­ate in June and is now up for a vote in the Assem­bly before reach­ing the Governor’s desk for his sig­na­ture. Oppo­nents of the bill, led by prof­it-dri­ven oil com­pa­nies and their lob­by­ists, have mobi­lized an aggres­sive mis­in­for­ma­tion cam­paign designed to intim­i­date law­mak­ers and dimin­ish pub­lic sup­port. We can­not afford to delay action any longer. 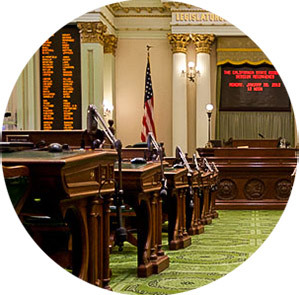 Cli­mate change is already wreak­ing hav­oc on California’s econ­o­my, cli­mate and qual­i­ty of life, and the effects will only inten­si­fy the longer we wait to act. With stakes so high, it is espe­cial­ly impor­tant to dis­pel the myths sur­round­ing this debate. California’s GDP is near­ly 30% high­er than it was in 2006 ($2.2 tril­lion vs. $1.6 tril­lion), and our econ­o­my is now 28% less car­bon inten­sive (per dol­lar of eco­nom­ic activ­i­ty) than it was in 1990. Our GDP is grow­ing while our emis­sions fall. California’s total non-farm employ­ment of over 16 mil­lion is at an all-time high. Cal­i­for­nia is now the 7th largest econ­o­my in the world by Gross Domes­tic Prod­uct. Since the reces­sion end­ed, Cal­i­for­nia leads the nation in pri­vate sec­tor job growth, adding 1.6 mil­lion jobs. Cal­i­for­nia added near­ly half a mil­lion jobs in 2014, for job growth of 3.1%, high­er than the nation­al aver­age of 2.3%. Cal­i­for­nia added 52,400 jobs in May 2015, a faster rate than any oth­er state. Cal­i­for­nia cap­tured half ($5.7 bil­lion) of clean tech glob­al ven­ture cap­i­tal invest­ment in 2014 – sec­ond only to the U.S. as a whole – help­ing to fuel the largest advanced ener­gy indus­try in the U.S. at 430,000 work­ers and grow­ing. In 2013 alone, employ­ment in California’s solar indus­try grew near­ly 16% — 10 times faster than the statewide aver­age. California’s solar indus­try employed 55,000 peo­ple in 2014, more than the state’s five major major util­i­ties com­bined. Solar com­pa­nies expect to add near­ly 10,000 more jobs in 2015. To learn more, vis­it Cal­i­for­nia Cli­mate Lead­er­ship.